July and August are filled with birthdays in our family…..sometimes three in one week! 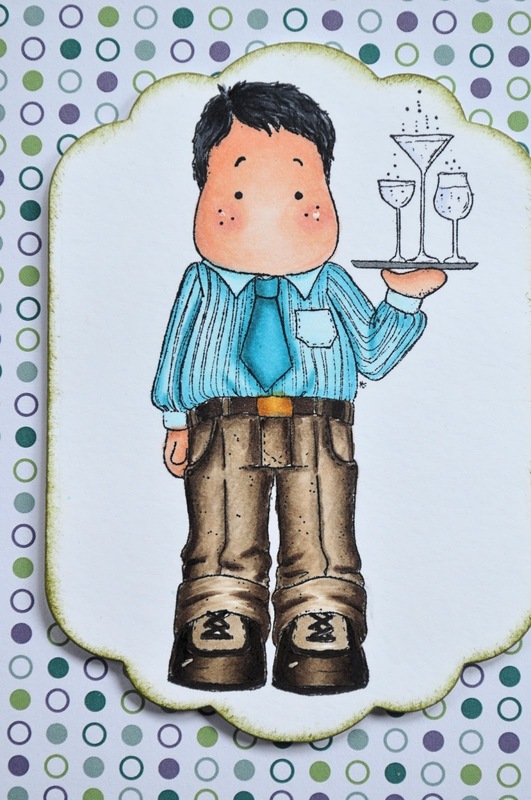 One of my brother-in-law’s birthdays is Tuesday, so I came up with a card using Bartender for him. 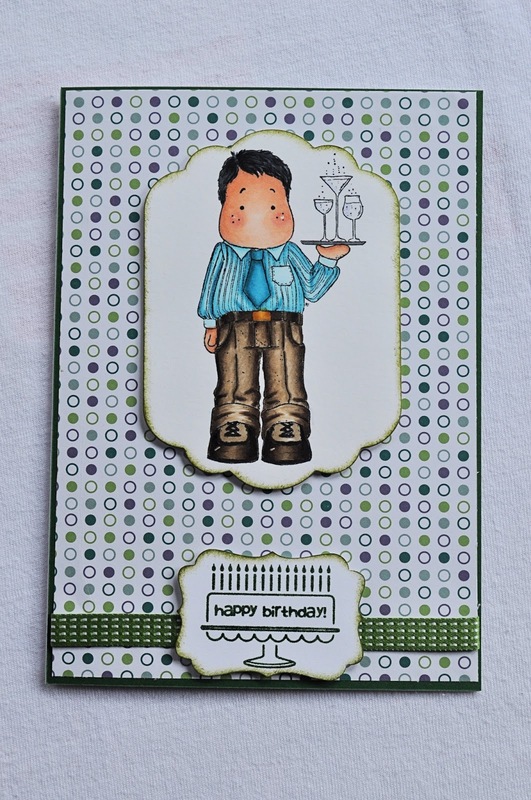 I colored Edwin with Copics and used some Spellbinders dies to make a frame for Edwin. 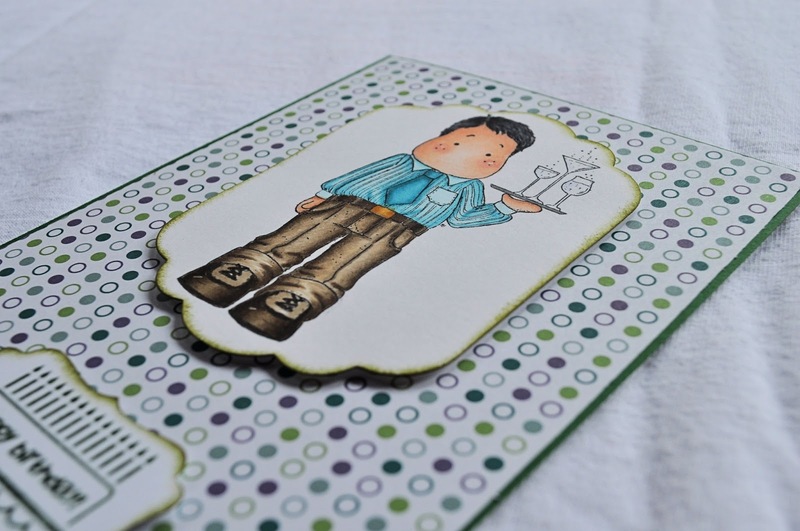 The sentiment is from Stampin Up. I also used a sentiment from the same set for the message inside: “so many Candles, so little Cake!” I will list the Copics and dies at the bottom for those interested. A close up of Edwin…….. I appreciate all of your comments and enjoying reading them! Thanks for stopping by! THis is perfect! Love your coloring! 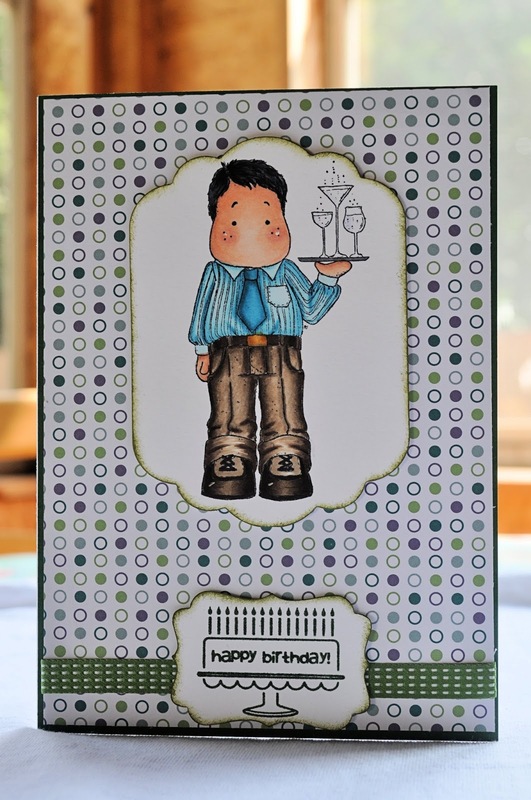 Any gent will like this card because it's masculine without over doing the embellishments. I like that birthday cake at the bottom and really like how beautifully you've colored Edwin. 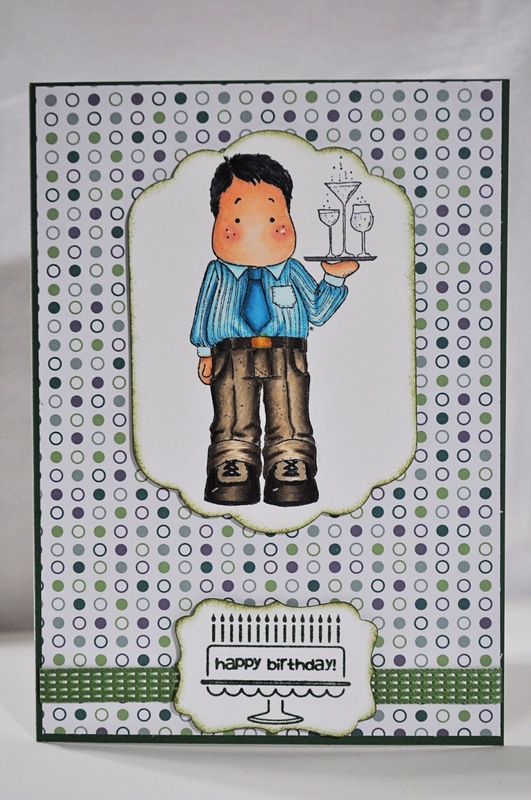 I love this card! Fabulous coloring. Great card. Love that polka dots.